Schulz Hotels, a member of the WYSE Travel Confederation, recently celebrated the grand opening of his first hotel. Located right next to a preserved piece of the original infamous Berlin Wall in Germany’s capital, Schulz Hotel Berlin Wall welcomes guests from all over the world since its official opening on 05 September 2018. 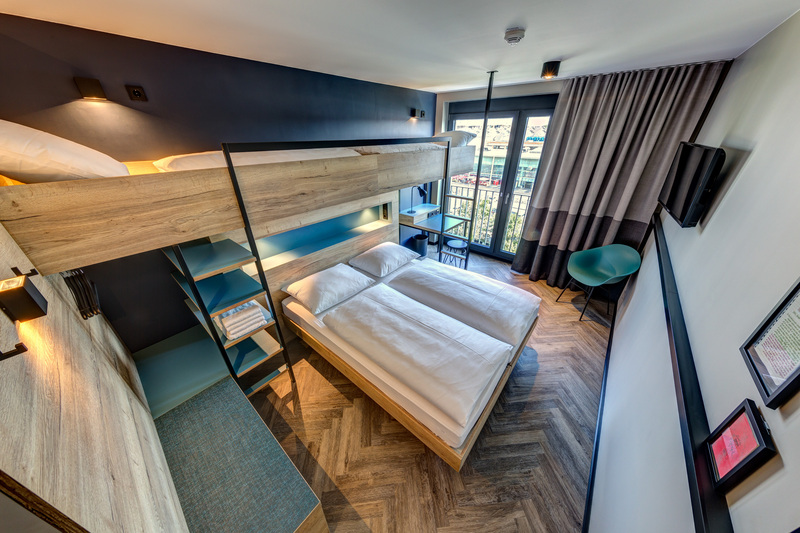 Schulz Hotel Berlin Wall is located in Berlin’s popular district Friedrichshain – famous for its alternative art scene – and offers excellent access to public transportation. Alexanderplatz and various sightseeing spots can be reached easily by the nearby cross station, Ostbahnhof. With views on Spree River and Berlin Wall, Schulz Hotel Berlin Wall offers 345 rooms and space for approximately 1000 guests. Here, guests from different backgrounds and from all over the world get together. Families with children enjoy discounts and a family friendly atmosphere, backpacker hotel luxury at a reasonable price, school classes tailor-made offers, and individual and business travellers the fast connection to the sights and hotspots of the city. The hotel offers free high-speed WiFi, mobile check in/check out, parking spots, a guarded luggage room and a launderette with laundry machine and dryer. The library located in the lobby of the hotel is equipped with a variety of books, computers for guests and plenty of space to sit down and work or relax. 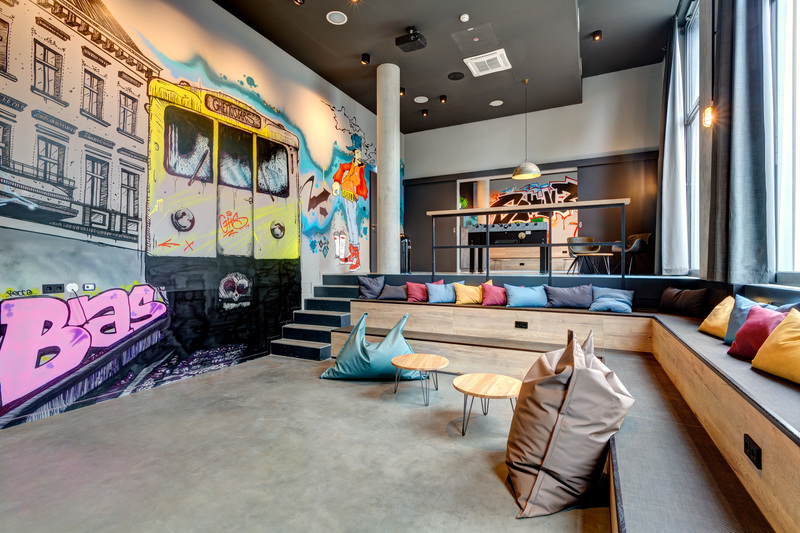 School groups and young people like to spend time in the 100m2 big student lounge – its street art design represents the flair of the urban city. Guests can enjoy Portuguese specialties, Fair Trade Schulz-coffee and snacks at the in-house café, Martha, Schulz-Beer and other refreshing drinks at the Hungry Bear Bar, and an all-you-can-eat breakfast buffet with international components. The beer garden is located between original parts of the Wall. Guests are also welcomed to use a fully equipped guest kitchen with fridge, oven and stove. Rooms are designed with a flexible concept and offers space up to four people. Each room offers an adjustable room climate, smart TV, USB hubs, desk, soundproof windows and a design bathroom with queen-size shower and care products. The grand opening of the hotel was celebrated with the invitation to 250 Berlin students to stay a night for free in the hotel and discover their own city in a new way. Schulz Hotels values sustainability, diversity and social interaction and is donating parts of his profits to social projects. Incidentally, the hotel was inspired by the German world traveller and cosmopolitan Schulz – stories and memories from his travels can be found in all parts of the hotel. The founders and managing directors of Schulz Hotels are Nizar Rokbani, Sascha Gechter and Oskar Kan. The team of three real-life Berliners once successfully built the international hotel group Meininger and is looking back on 20 years of experience.